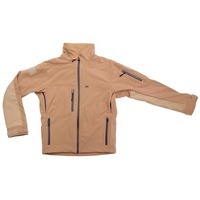 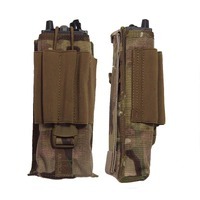 Elastic straps and buckle provide retention. 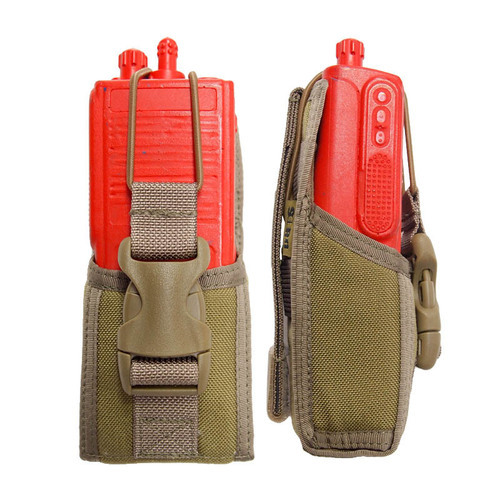 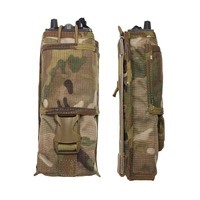 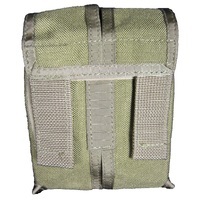 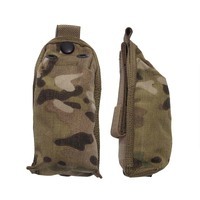 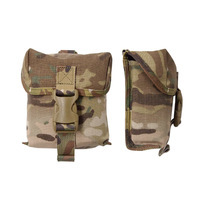 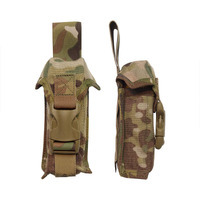 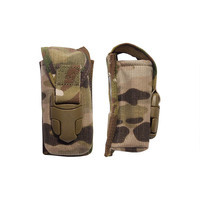 This pouch will hold your communication gear in place with the adjustable straps. 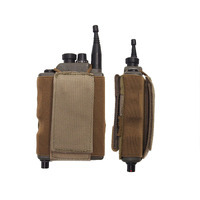 There is no need to remove the radio to change frequency's or adjust volume due to the open top design. 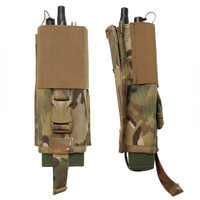 Requires one MOLLE column for attachment.